I had the privilege of attending a smart dinner at Westminster Abbey on 18 May, at the start of the London Wine Fair. Chateau d’Issan from Margaux laid on a spectacular evening for many of the UK’s wine royalty, and I’d somehow sneaked an invite. 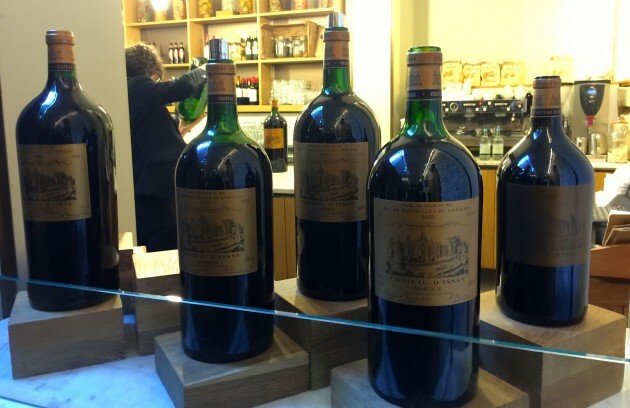 The wines, from 1985, 1990, 2000 and 2005, showed just how brilliantly enormous bottles can age, and that when it comes to great Bordeaux vintages, the rule of 5 – those ending in 0 or 5 – is pretty reliable. To be clear, ’the rule of 5’ arguably began in 1985 (1980 was a shocker), but has continued without doubt from 1990. My three personal favourites, for what it’s worth, are 1990, 2005 and 2010. The 2005s are only just coming round after a decade, and many need a few more years yet. I think 2010, especially on the Left Bank, has the potential to be the greatest of the lot, but you’ll have to be patient for the great wines. As for larger formats, I can’t think of a red Bordeaux that I’ve drunk from a magnum or larger that hasn’t been superior, or had more potential, than the same wine in a regular 75cl bottle. A large format with a bit of age can surpass a wine from a regular bottle – the difference between a wine that is delicious, as opposed to merely decent. Perhaps, also, it’s because you always drink a very big bottle with friends. As for the setting for the dinner, I’d never thought of Westminster Abbey as a gastronomic venue. What a stunningly beautiful place. 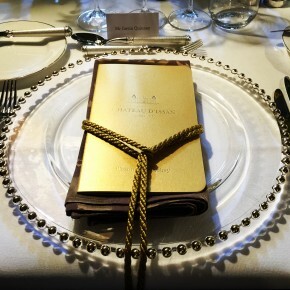 My thanks to owner Emmanuel Cruse and to Augustin Lacaille of Chateau d’Issan for a splendid evening. My tip for Bordeaux lovers is to buy as much of the 2005 as you can afford, and enjoy it over the next 15 years. Longer if in larger formats.